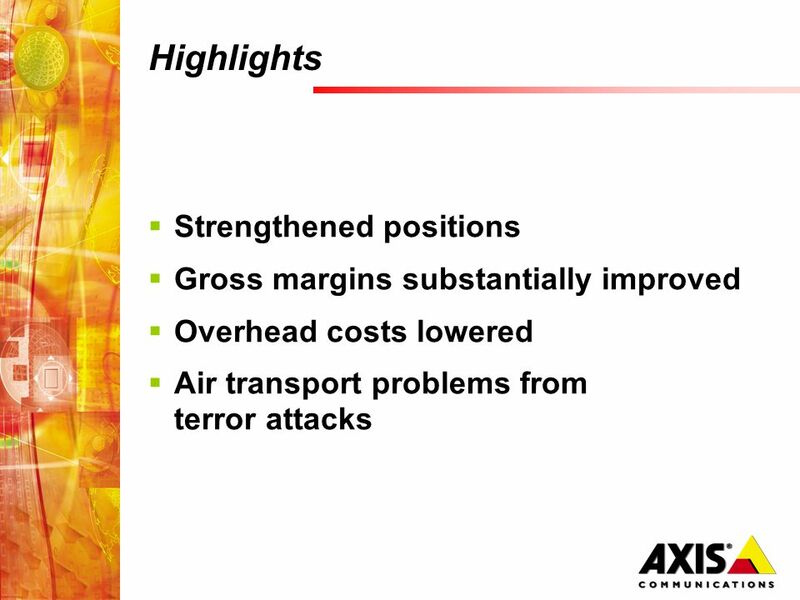 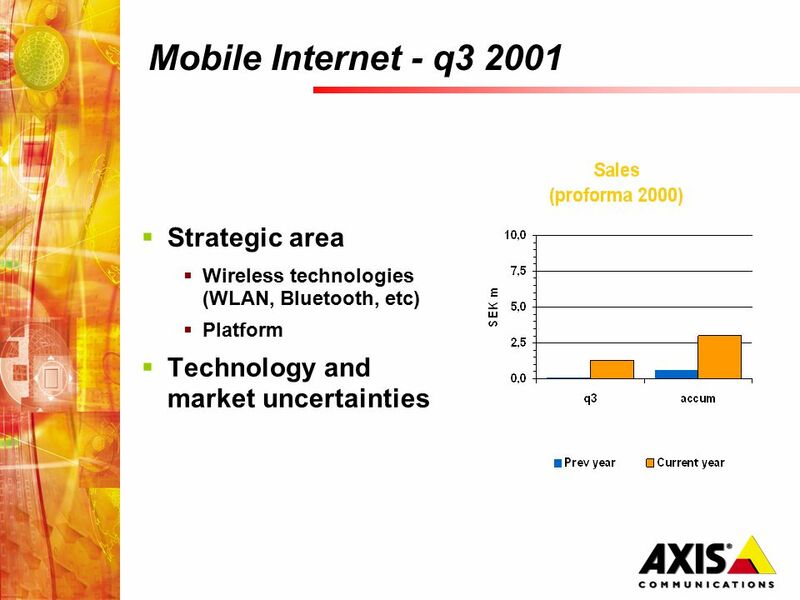 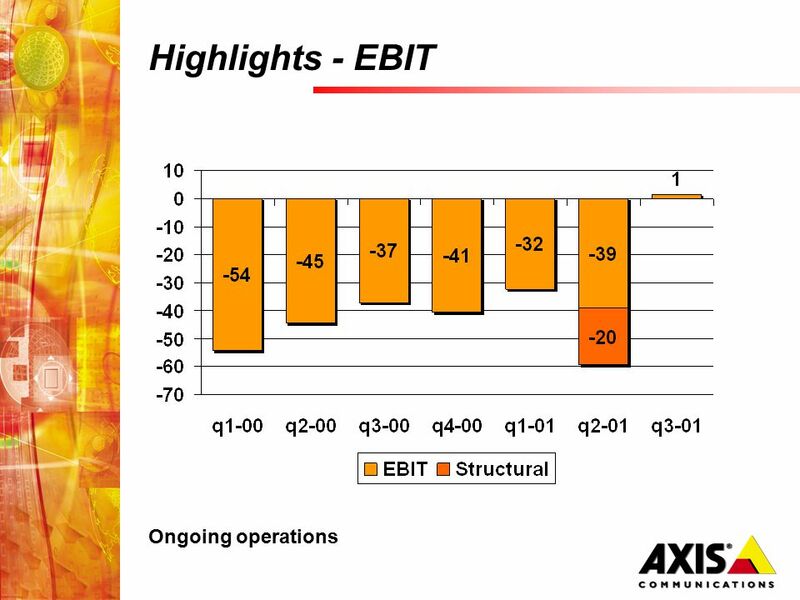 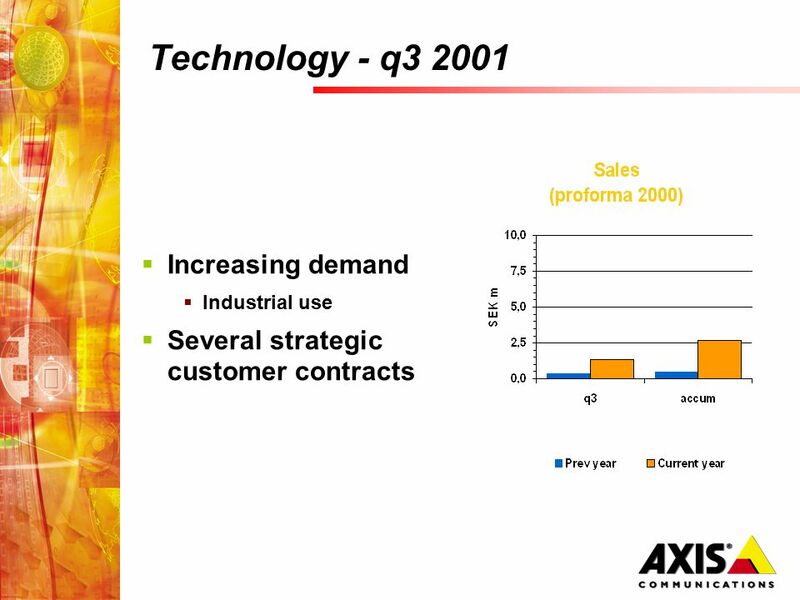 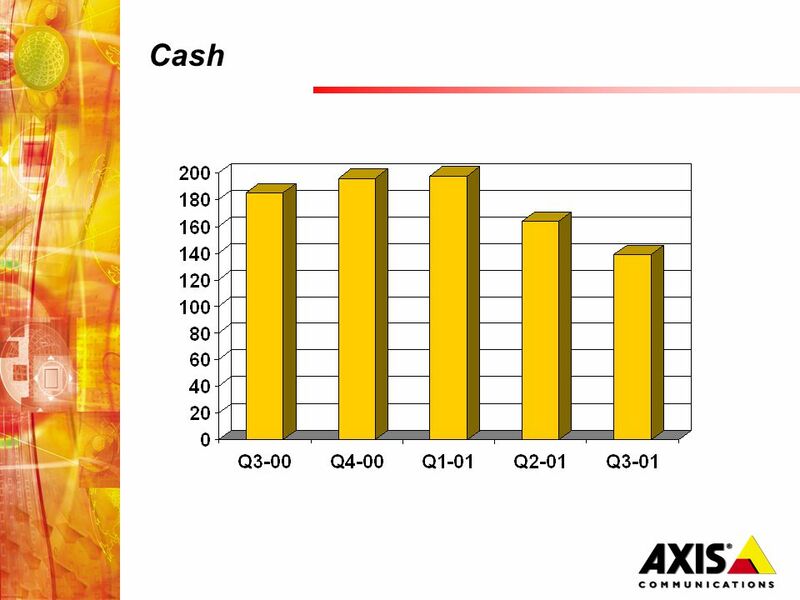 Download ppt "AXIS Communications A world of intelligent networks Third quarter 2001 CEO Peter Ragnarsson CFO Jörgen Lindquist." 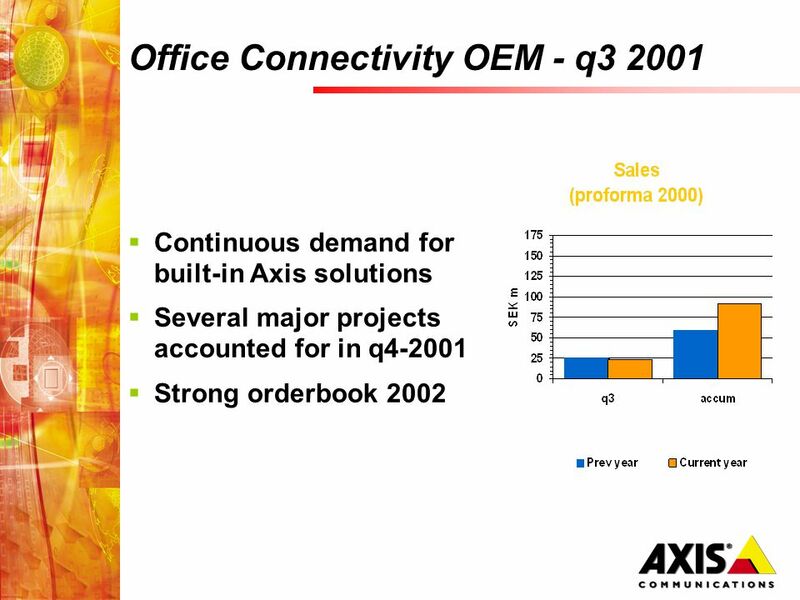 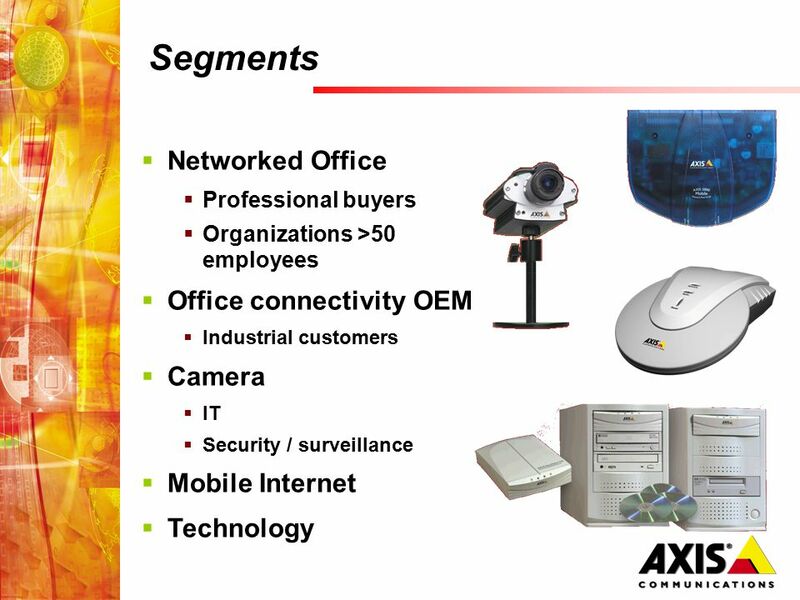 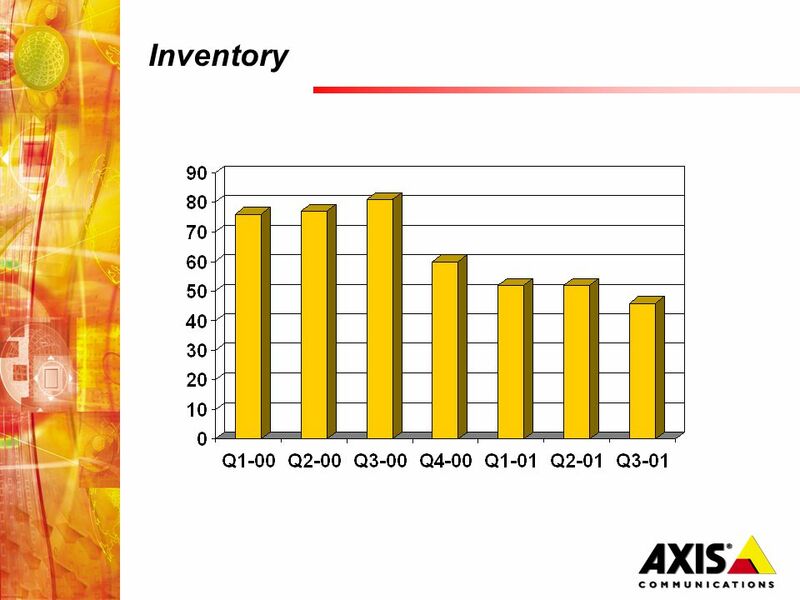 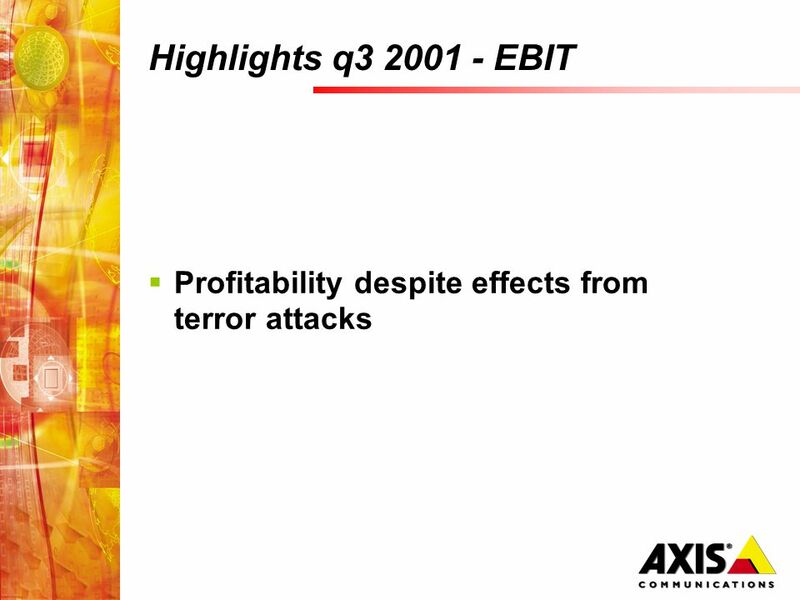 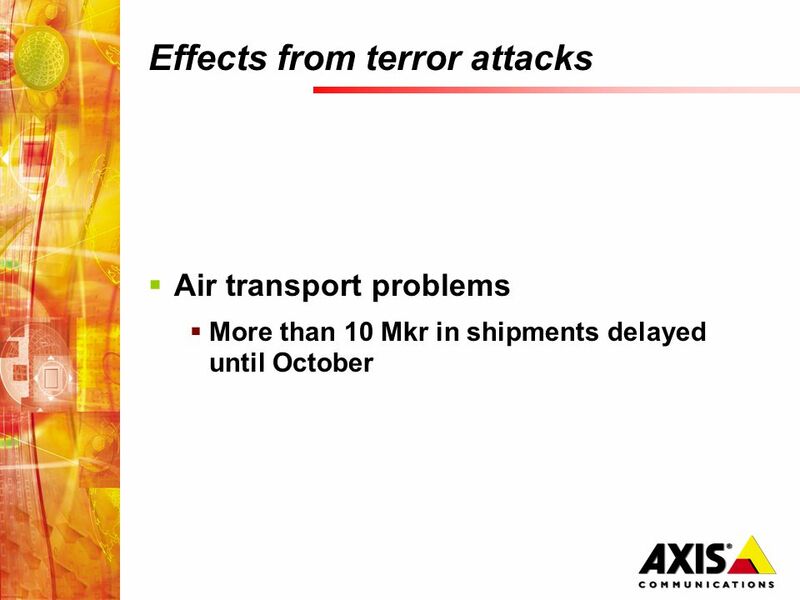 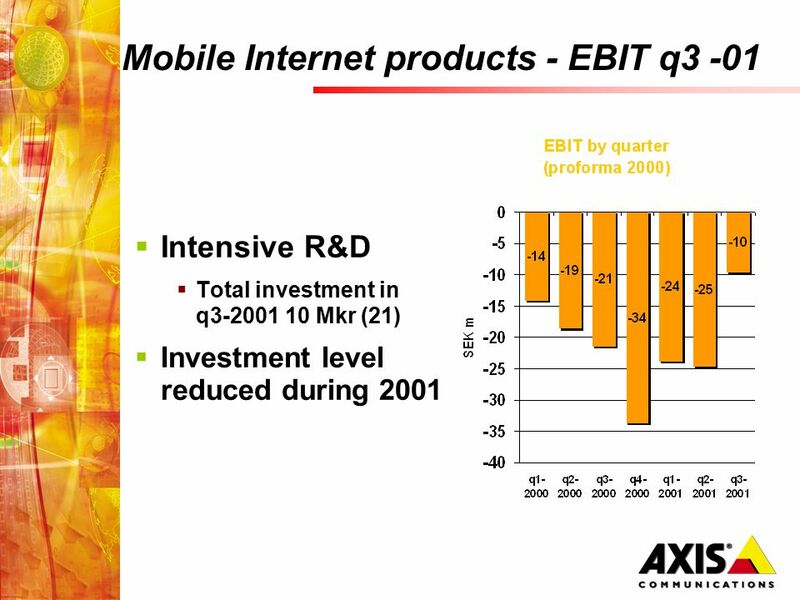 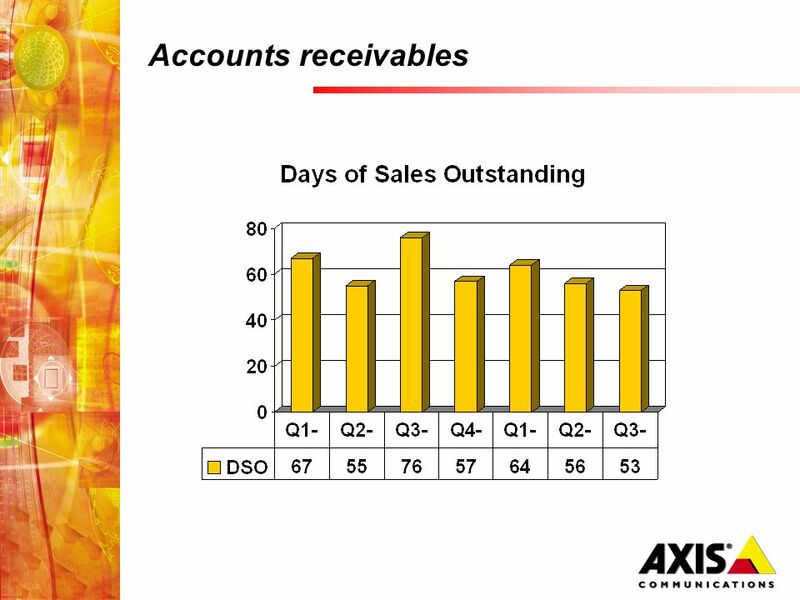 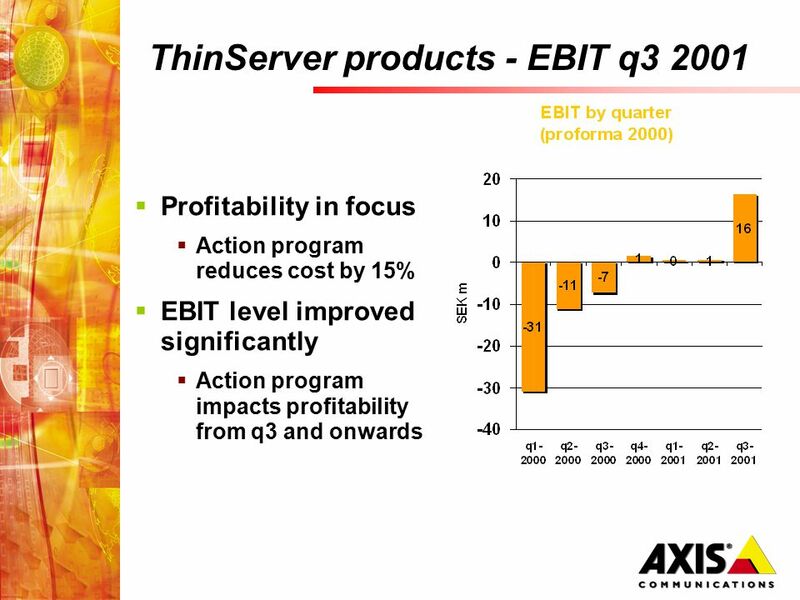 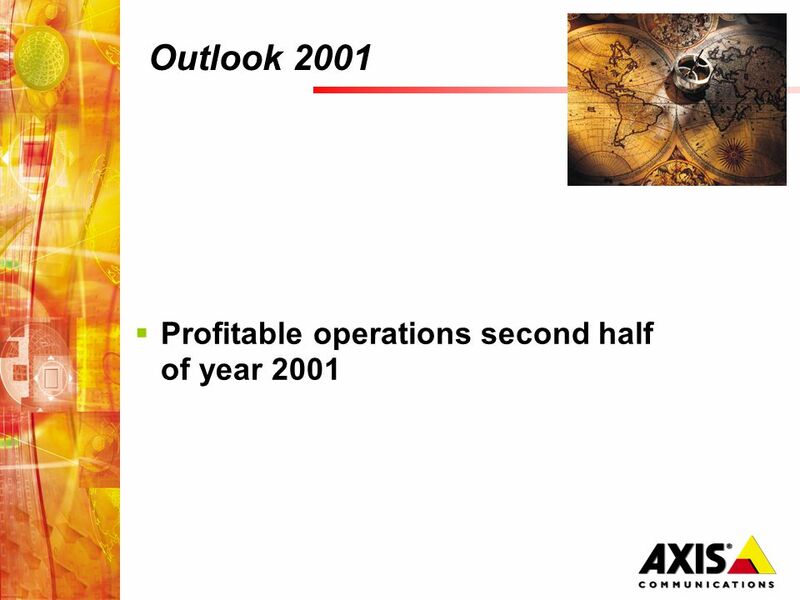 AXIS Communications A world of intelligent networks Second quarter 2001 Presented by Peter Ragnarsson. 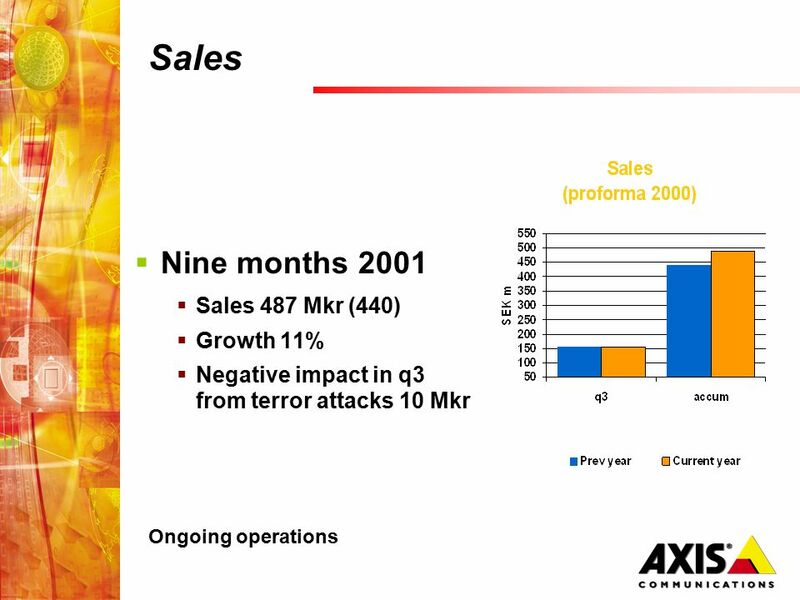 Strong currency effects on sales January- March 2009 Ray Mauritsson, CEO & President Fredrik Sjöstrand, CFO. 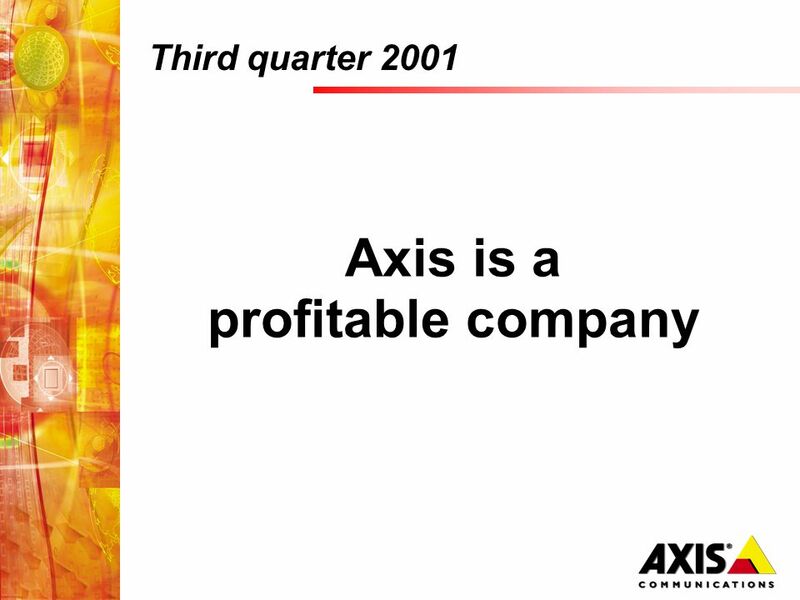 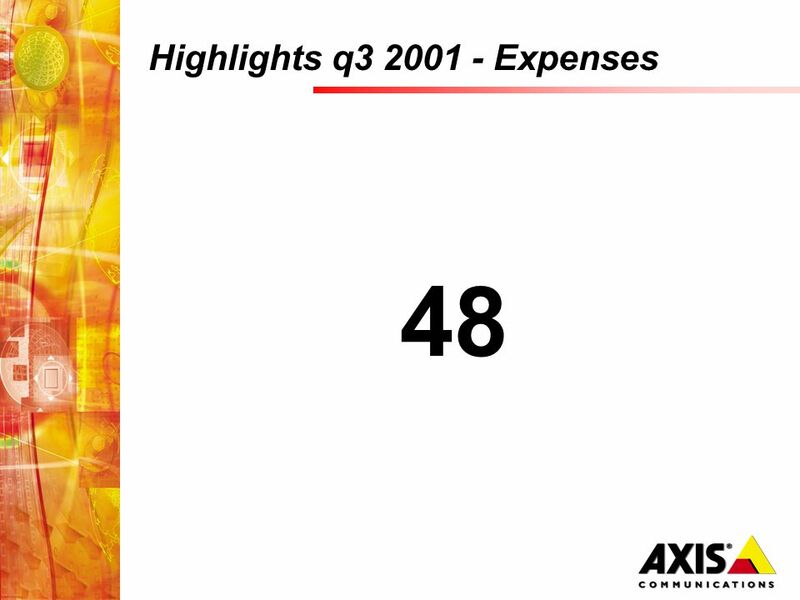 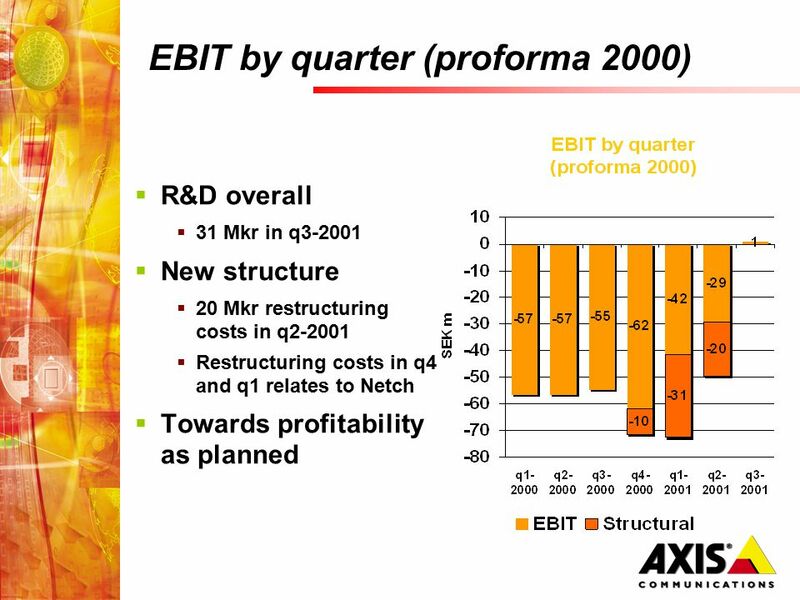 AXIS Communications A world of intelligent networks First quarter 2001 Presented by Peter Ragnarsson. 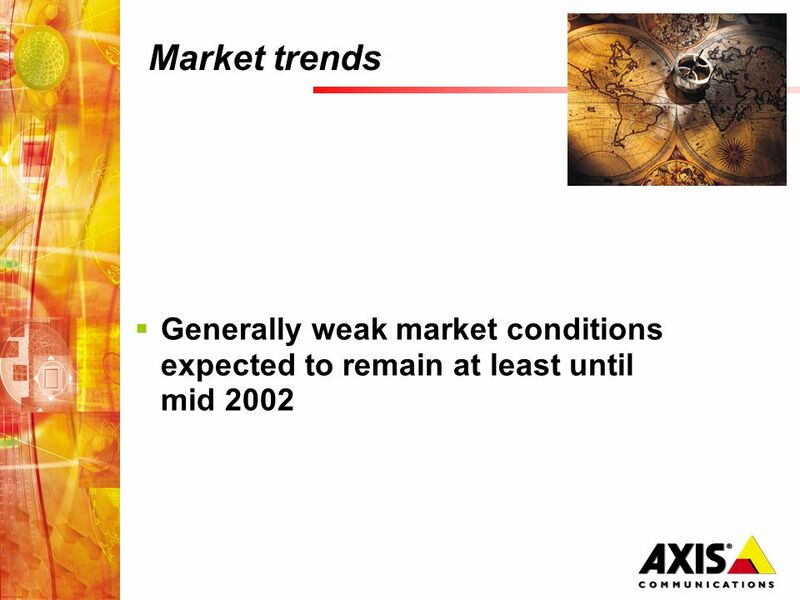 Weak growth ended 2008 January- December 2008 Ray Mauritsson, CEO & President Fredrik Sjöstrand, CFO. 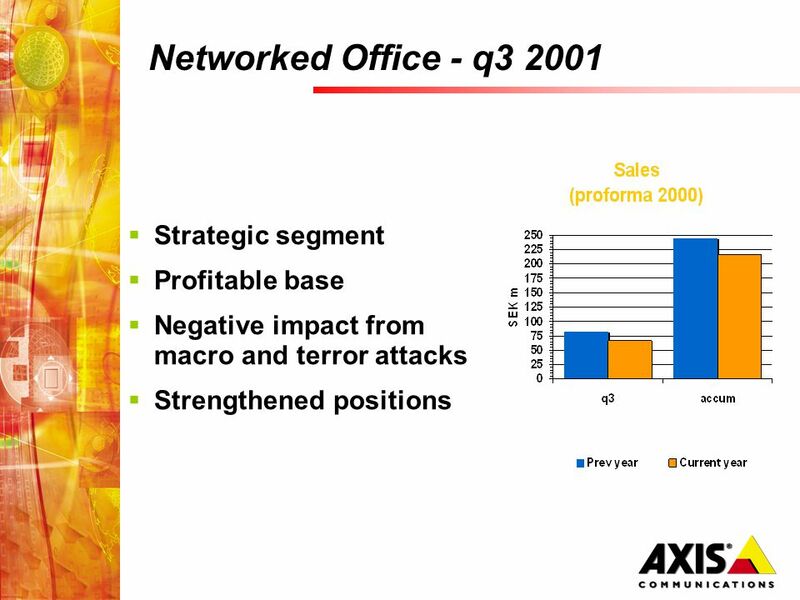 ... M A K E S Y O U R N E T W O R K S M A R T E R Welcome to Axis´ Annual General Meeting 2003. 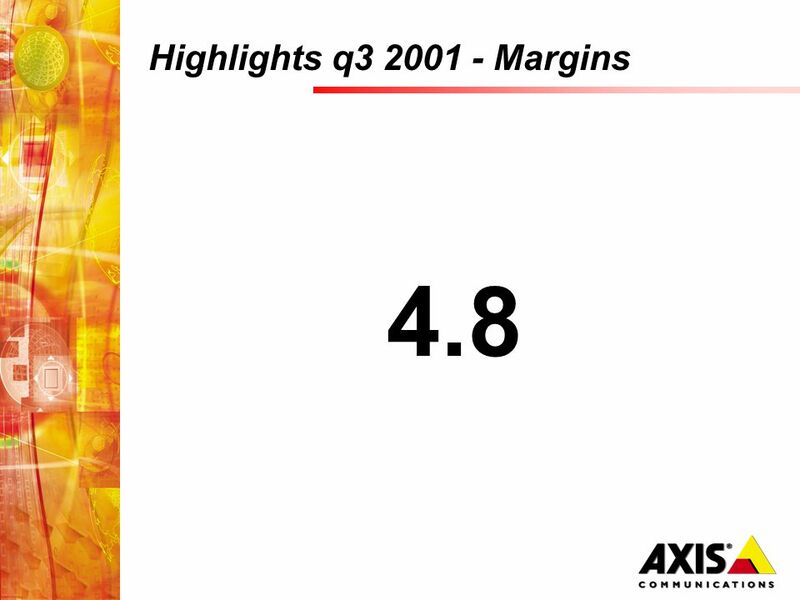 M A K E Y O U R N E T W O R K S M A R T E R All time high January-June 2005 Ray Mauritsson, CEO. 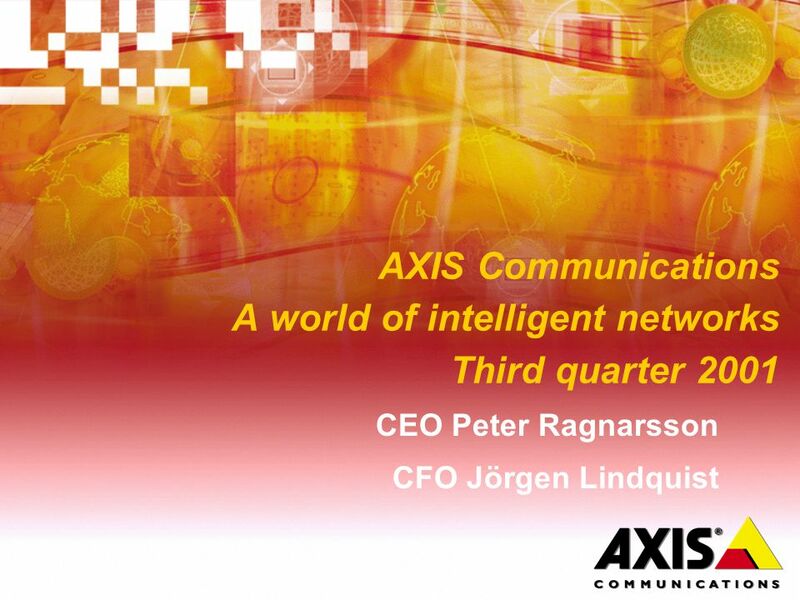 AXIS Communications - a world of intelligent networks Q CEO Peter Ragnarsson CFO Jörgen Lindquist. 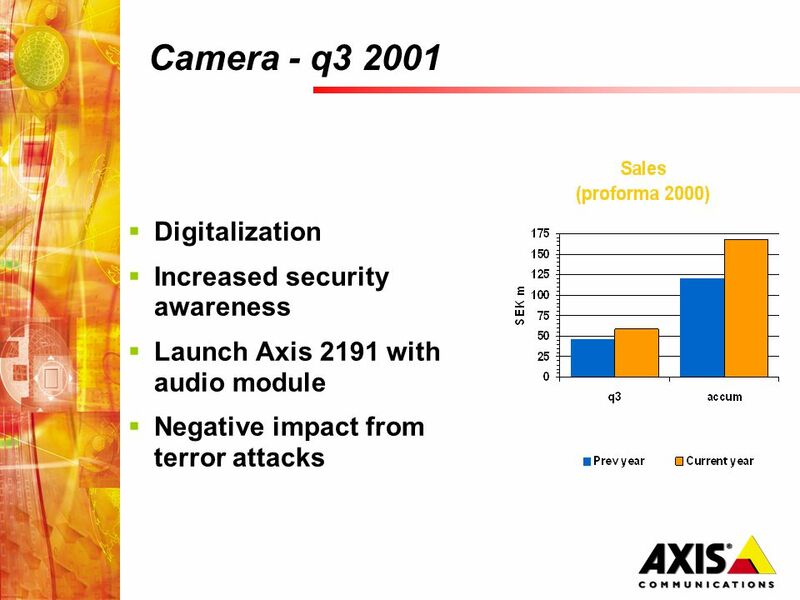 1 Innovators in image processing Martin De Prycker, President & CEO BARCO Results third quarter 2002 November 7, 2002. 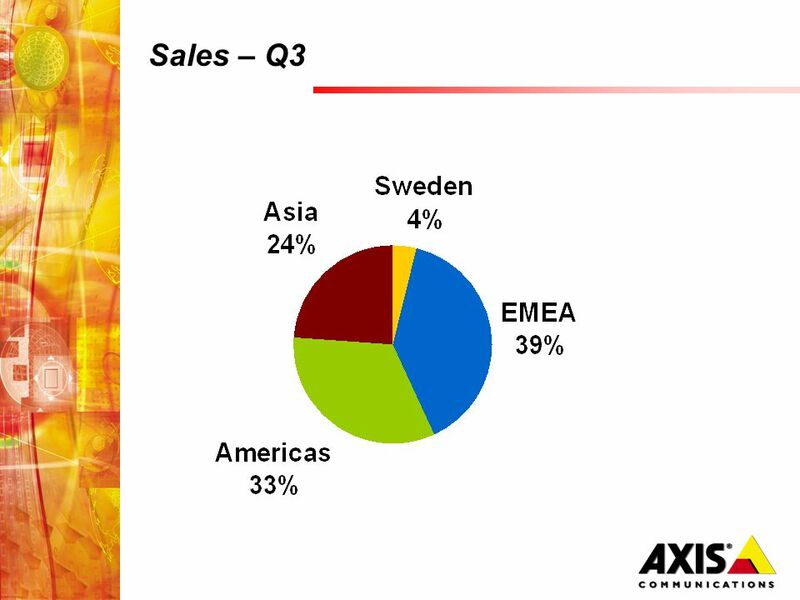 Continued strong sales and earnings trend January-June 2007 Ray Mauritsson, CEO Fredrik Sjöstrand, CFO. 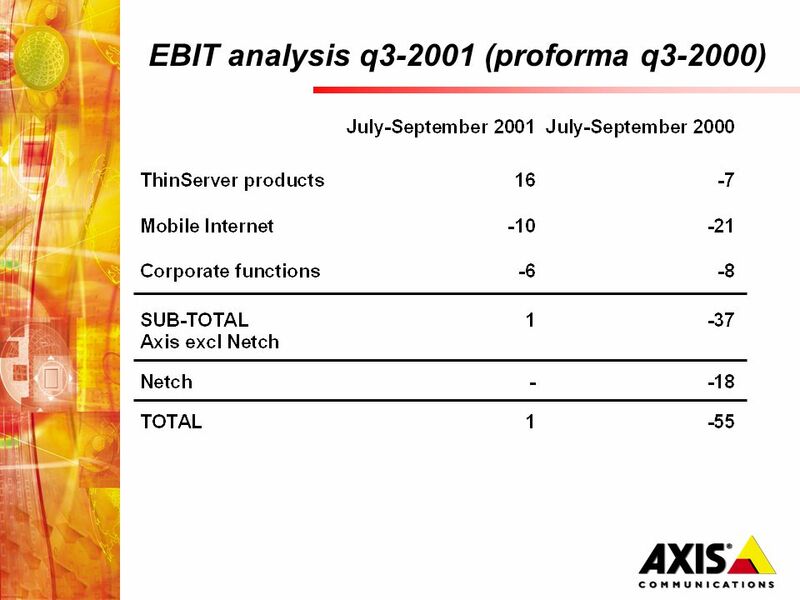 ... M A K E Y O U R N E T W O R K S M A R T E R Interim Report January - September 2003 CEO Ray Mauritsson CFO Jörgen Lindquist. 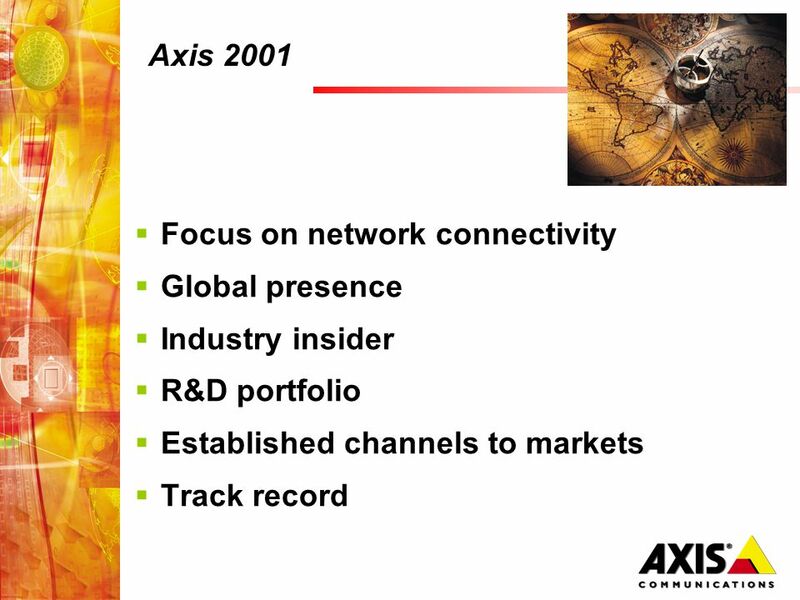 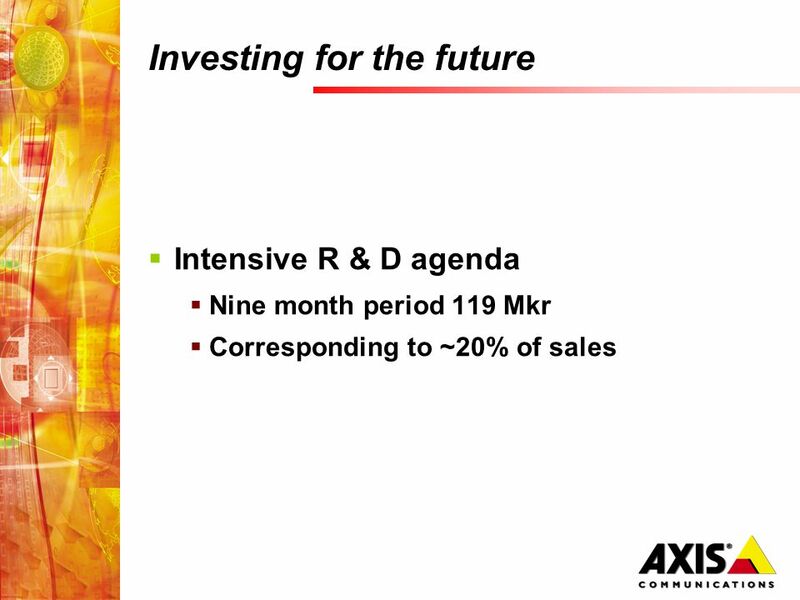 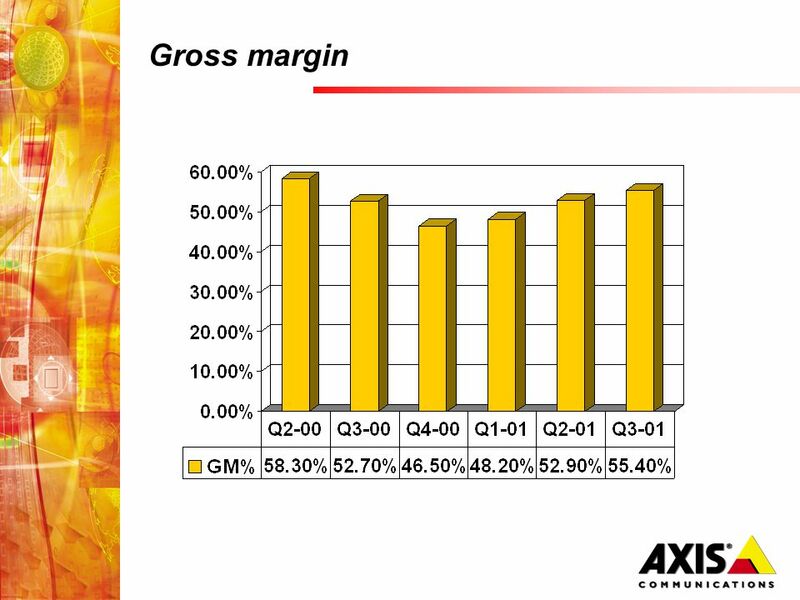 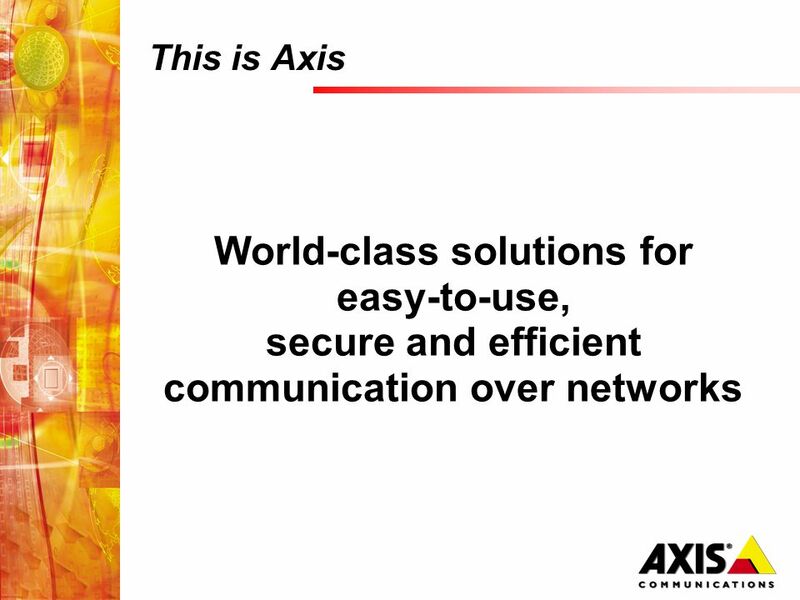 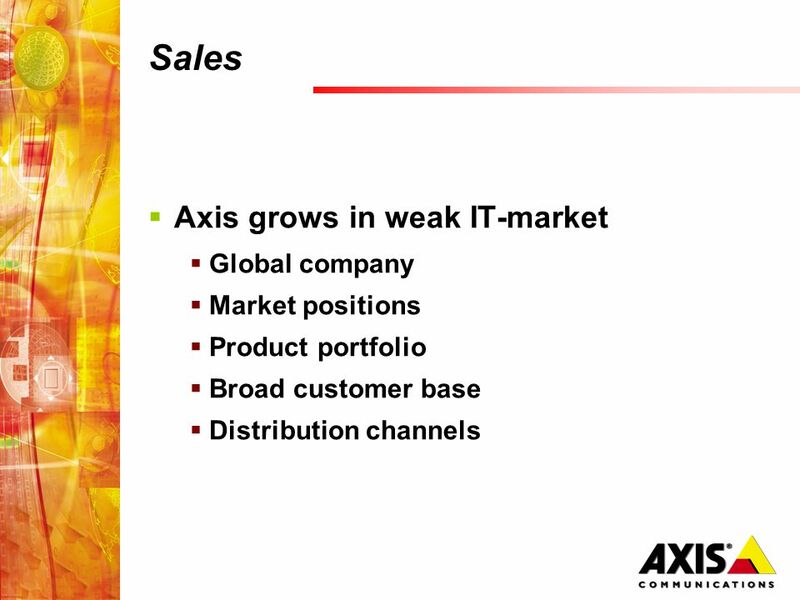 AXIS Communications - a world of intelligent networks Annual General Meeting 2002.